Your reputation precedes you…now more than ever. Your personal brand hinges on your reputation. A reputation is earned over time, through our behaviour, interactions and communication with others, however we can wreck our reputation in a heartbeat. In this post, we explore the fine art of reputation management. Since my last post was inspired by fashion week, let’s turn to an example in the fashion industry. 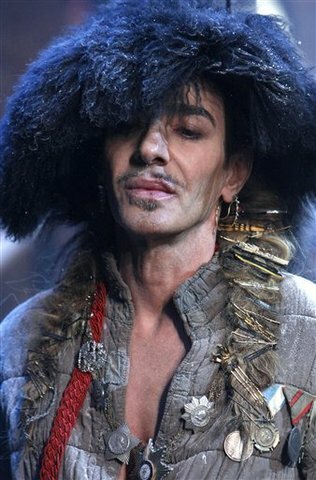 Consider John Galliano, whose anti-semitic rant in a Paris bar two years ago cost him plenty. Not only did the status of his brand plummet, but he was promptly sacked as Dior’s creative director. How did the disgraced designer slowly start to salvage his brand? It took a public emotional mea culpa, a stint in rehab, high-power friends (think Anna Wintour and Kate Moss) and one generous second chance by Oscar De La Renta to help the disgraced designer repair his tarnished image. 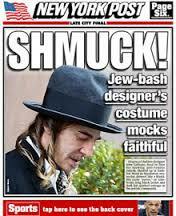 But just when he seemed to be inching his way back into the public’s good graces, he ignited further controversy this year by wearing a Hassidic-like outfit to New York Fashion Week. Regardless of whether or not it was a mockery of Hassidic Jews, it didn’t do him any favours…and fueled some pretty bad press. He may not have known his behaviour was being caught on camera during the first incident, but he certainly did during the second one. It leads me to wonder if he gave much thought to the importance of reputation management. Even if you’re not a celebrity or in the public eye, carefully monitoring and managing your reputation, and particularly your on-line reputation, is more important than ever. Social media and blogs are a great way to connect with others and build an on-line presence, however, they can easily work against us. Think about what that camera phone captured during a drunken, wild night out with friends, or those careless posts or tweets with colourful language, off-putting jokes or inappropriate disclosures. In one strike, any of these can damage your personal brand in the eyes of employers, peers and others in your network. You don’t have to be squeaky clean (some quirkiness and controversy can be good for your brand), but an awful lot of damage can be done very quickly with thoughtless content. And before you know it, your reputation has taken a major blow. But even without a Hollywood-size budget or celebrity friends to come to the rescue, you can manage and repair your reputation by following five general steps. Define and strengthen your personal brand. Assess what makes you unique, relevant, differentiated, authentic and compelling, and communicate it frequently and consistently. Identify what you want to stand for and let it be known. By living in accordance with your values, you can earn credibility and integrity. 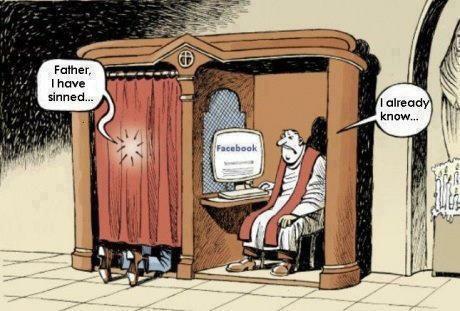 Behave as if someone is watching. If you do, you will act in a more thoughtful way. Give some thought to social media posts, your audience, and the impression you may make. Some self-monitoring and common sense will go a long way. In other words, be authentic but use your head. Own up to mistakes. Exercising personal accountability can go a long way in repairing a damaged brand. Burying mistakes and passing blame around is a quick and easy way to build skepticism, scrutiny and mistrust. People tend to accept that others make mistakes and bad choices sometimes, and taking responsibility for missteps can be critical for one’s reputation. Define your desired reputation and set goals. Envision how you want people to see you. What character traits do you admire in others? How can you make them your own and communicate them? Turn to your inspirations and come up with a personal branding game plan that consists of goals to get you there. Take Your Pulse. Some might think Googling yourself is vain, but think of it as an essential online self-audit. It’s critical to know what’s out there…and don’t forget to check Google Images. 360-degree assessments are typically used in personal branding to gather anonymous feedback from colleagues. These can provide invaluable information on how others perceive you. No one can have a completely bullet proof reputation. But some general reputation management can certainly help, so when your reputation precedes you, you can allow it to walk proud.